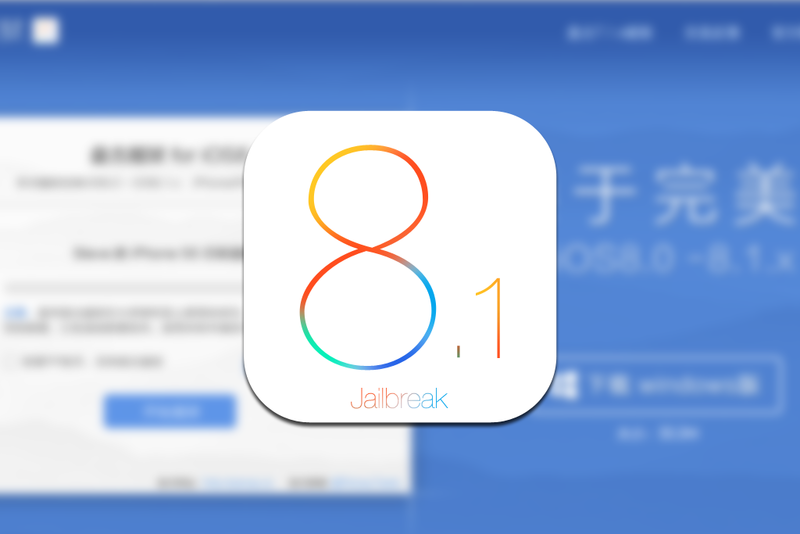 This morning PanGu team releases a jailbreak for iOS 8 - 8.1.x. Before you go updating your device to iOS8 or testing the jailbreak there are a few things you need to know. Pangu8_v1.0.0.exe will NOT install cydia on your device. After personally testing v1.0.0 of the tool, it does not get you root. The tool only shows ????? Touch ID ?????? with no jailbreak button. According to Pangu website it says wait for update. "Because of the many changes iOS8 system, Cydia and many plug-dependent Substrate framework can not be used in iOS8. So we provide developers need some basic plug-in such as environment and SSH version 1.0 jailbreak, the convenience Cydia authors and other developers as soon as possible for iOS8 modify their code. After the completion of compatible Cydia, we will release updates to integrate Cydia. So, Pangu jailbreak (iOS8) version 1.0 is ready for strict jailbreak developer version"
Doesn't seem like much yet, but worth keeping an eye on. Personally I am surprised to see a jailbreak so soon. Especially because Apple is publishing many updates, very quickly. As soon as the higher ups mention something I will add it here. To explain a Jailbreak is to get root access to your phone. This is what Pangu Released. You will get root access, but you will not get Cydia. Its not the everything in a box you have come to expect from past Jailbreaks. Yet. The PanGu tool claims to work on. Not much longer after the v1.0.0 tool was released PanGu released v1.0.1 which I have personally tested and works as intended.